Newcastle head down to the capital looking to keep their clean sheet in a row against the Hammers. Newcastle United will be looking to close the gap on the top half to two points with a win at the Olympic Stadium. The Magpies will face an inconsistent West Ham United side who have only won once in their last seven games. Newcastle are in their best patch of form this season while the Hammers are struggling to string a set of results together. Rafa Benitez sets his side up to defend away from home no matter who the opposition is and it will be no different on Saturday. West Ham have players that can change the game on their own with Felipe Anderson, Samir Nasri and Marko Arnautović all players Newcastle must be wary of. The Magpies go into the game with a fully fit squad but it is expected the team will remain unchanged from the one that beat Burnley midweek. Benitez will ensure his side is organised at the back and can counter-attack smoothly and quickly when they get the ball like they did last year in this fixture. However, the Hammers will prove to be a tough nut to crack as they have only conceded four goals in their last four games, which includes games against both Liverpool and Manchester City. 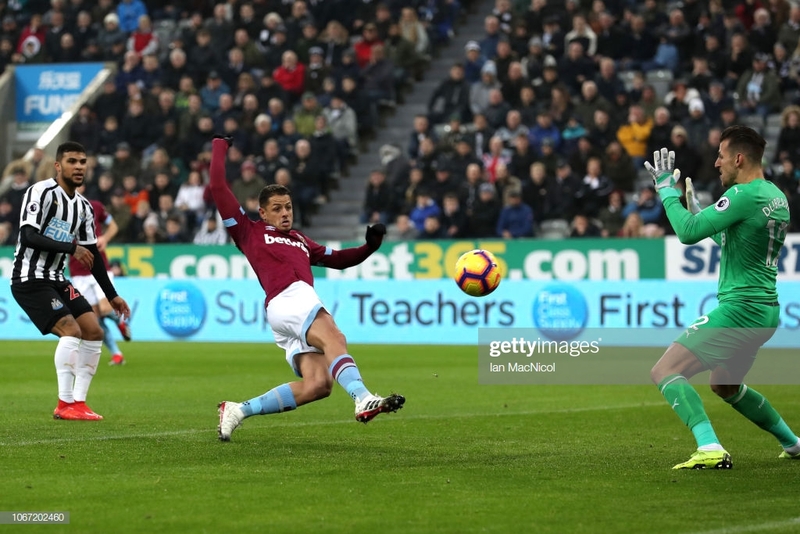 The reverse fixture was dominated by the Hammers who ran out comfortable 3-0 winners at St James' Park in what was arguably one of Newcastle's worst performances of the season. On that day Anderson, Arnautović and Javier Hernandez gave the Newcastle defence a day to forget with their non-stop running and energy. The Magpies were the opposite of what they are now, they attempted to control the game and were not organised in defence. However, the last time the two sides met in London the Magpies ran out 2-3 winners despite going behind after just six minutes. Benitez was full of praise for his side after two 3-0 victories in a row he insisted 'they care' about the club and the results. The Spaniard told the Chronicle: "They care, they try really hard, and in the end, you get the results. Still, we have a lot of work to do." However, Benitez was not getting carried away with where his side are in the league. Manuel Pellegrini was optimistic heading into the game as he has a lot of his big-name players back fit. The Chilean said: "We have had less than 72 hours to prepare. We made some changes against City to have some players fresh for tomorrow. "The problem is not when you have too many players, it's when you don't. "We have four strikers fit, we have wingers too and we are prepared for the last part of the season." The big talking point in the last week has been about Sean Longstaff and Declan Rice. Both are extremely talented players and many have touted both midfielders for England call ups this season with Rice recently switching his nationality. However, both players will be looking to outperform the other in front of the Sky Sports cameras to show who is more deserved of a place in Gareth Southgate's squad. Longstaff and Rice both like to shield the back four, however, Longstaff has an eye for a killer pass if he gets forward whereas Rice is more dominant in the tackle. Rice has the experience over Longstaff as the last time these two sides met, the latter would not have been under consideration for the squad never mind starting.